Solo project who calls himself Sounds Like Harmony and creates music out of a variety of genres to create an energetic and unique sound. His song "The Sun and The Moon" was named the runner up song of the year in a Song of the Year competition. He was known for skateboarding and owned a local shop sponsor called Backdoor Skate Shop as well as a clothing sponsor called Textbook Clothing. He started his music career on YouTube and performed live on YouNow. He has opened for the likes of Never Shout Never and SayWeCanFly and was a featured artist on Reverbnation. He was born in Pitt Memorial Hospital in Greenville, North Carolina. He dated YouTube star HeyThereImShannon . 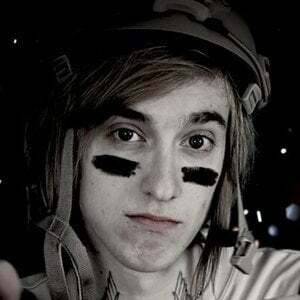 His videos have been featured in BryanStars interviews.